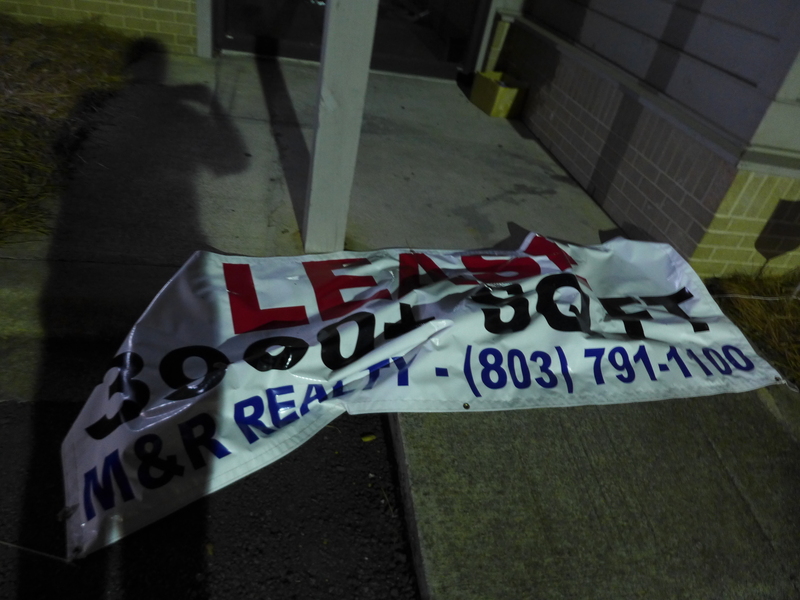 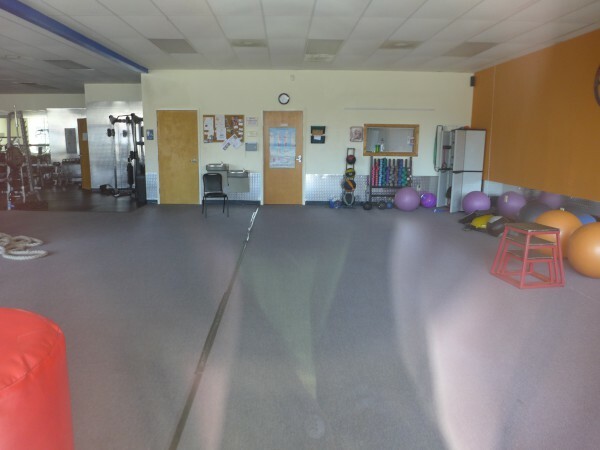 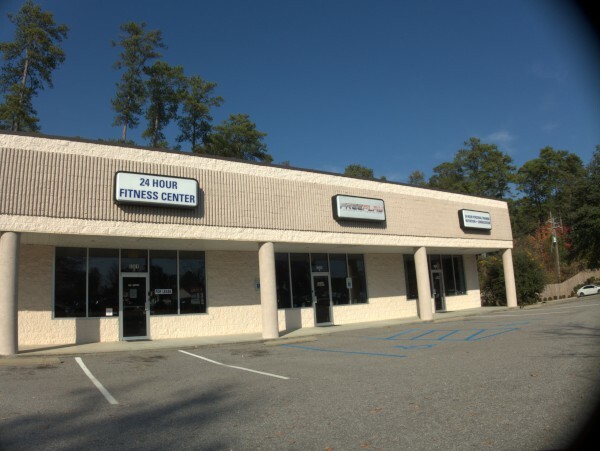 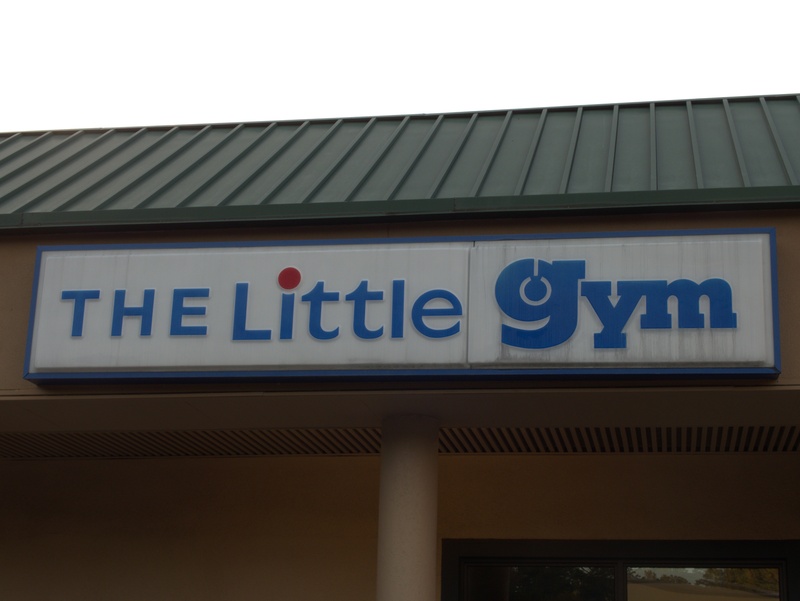 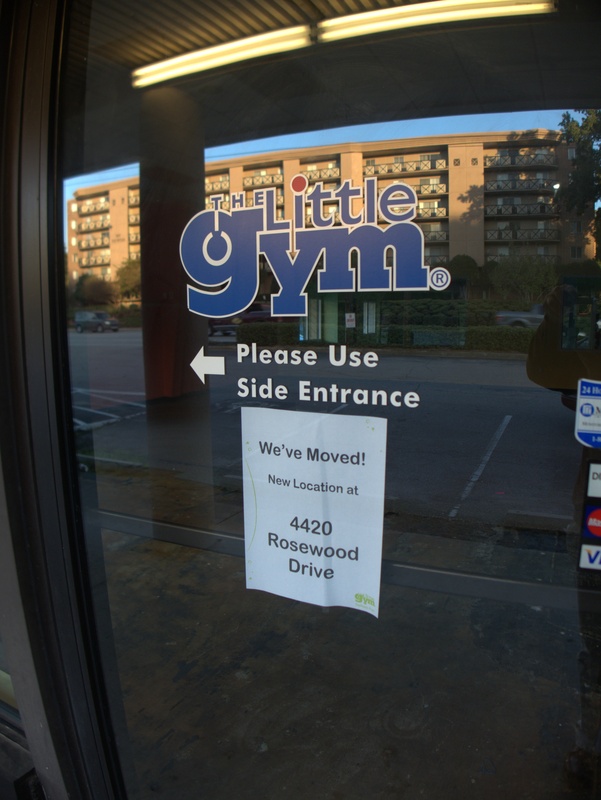 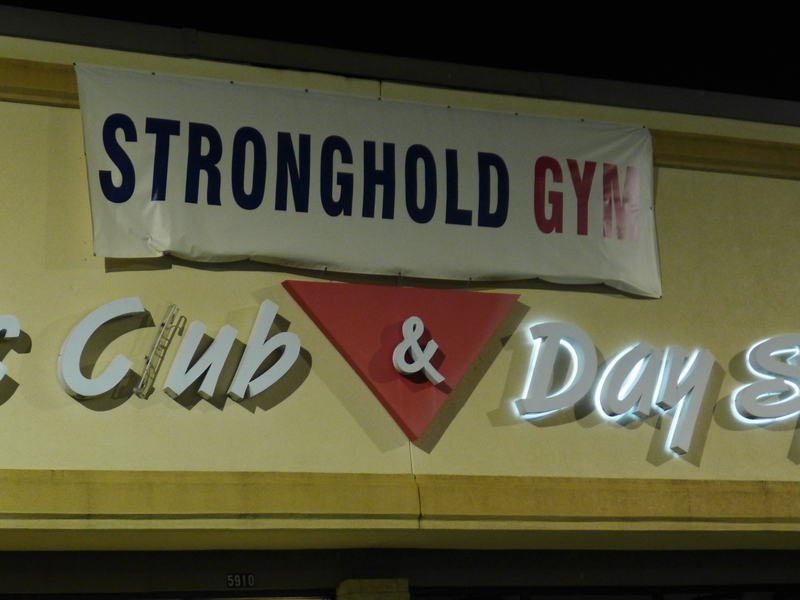 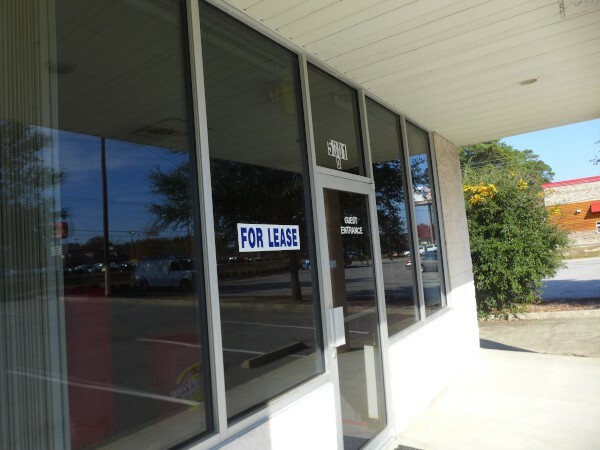 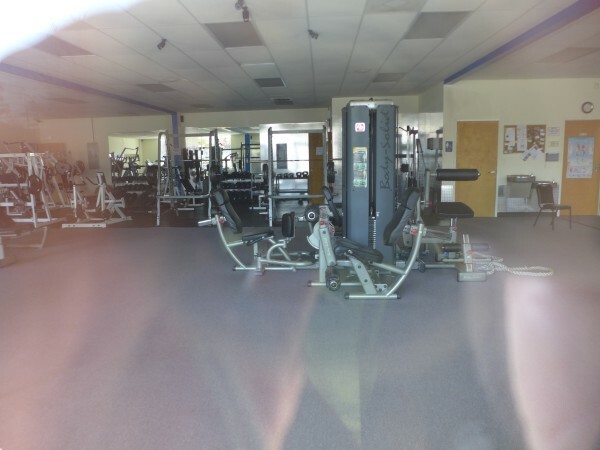 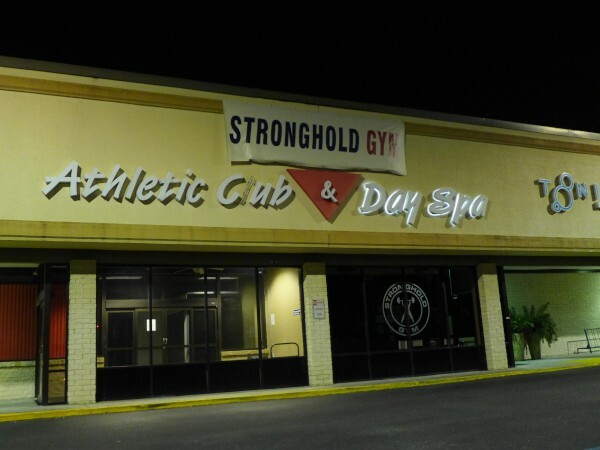 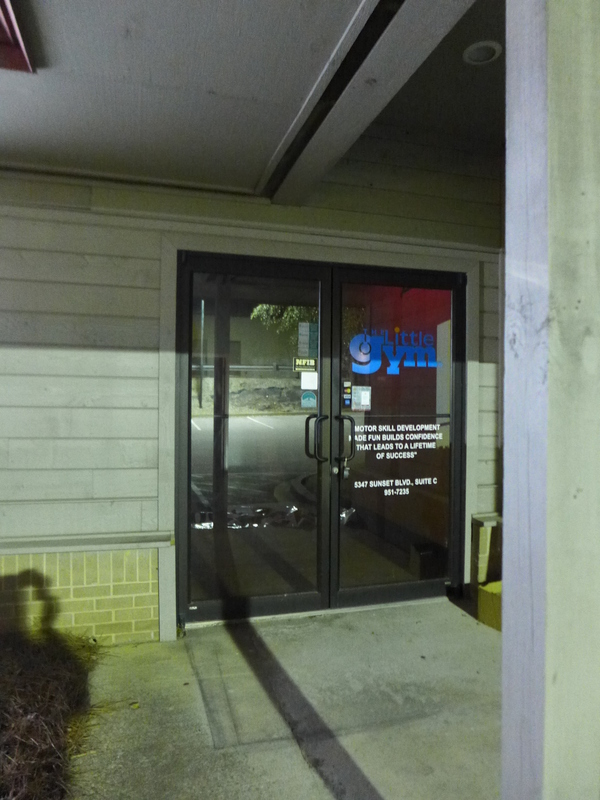 I noticed the otehr night that Hampton Hill Atletic Club next to Jimmy Johns in Shoppes At Woodhill had closed and been replaced by Stronghold Gym. 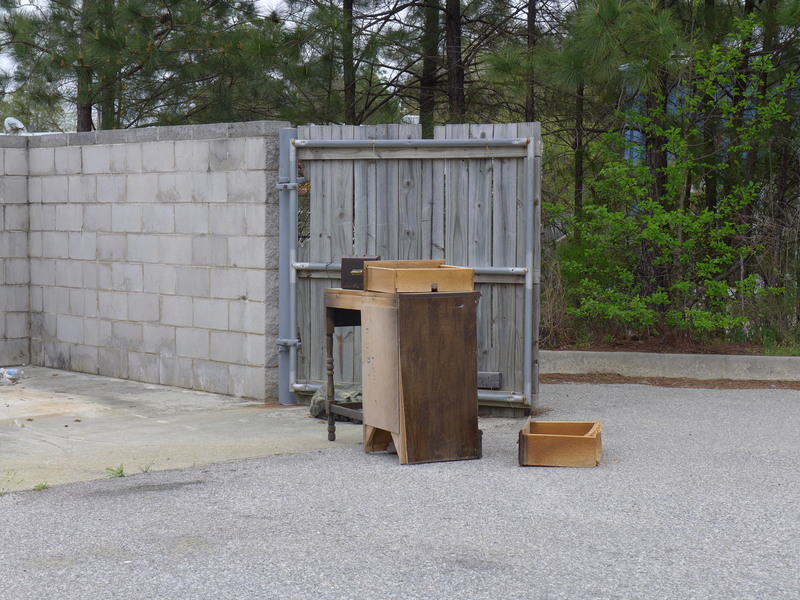 A little googling establishes that Hampton Hill went Chapter-11 (debtor in possession) at the end of June 2015. 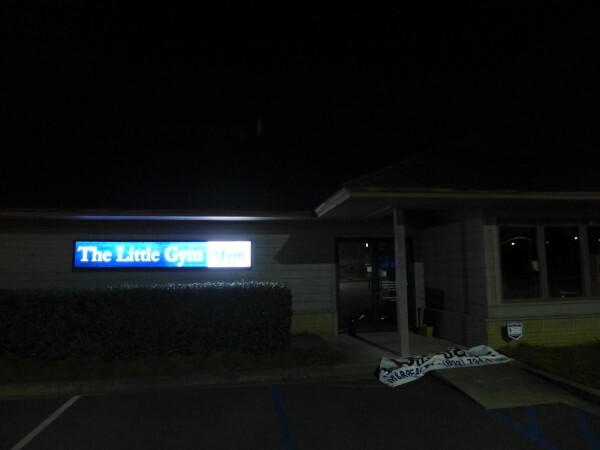 I guess in the end they were not able to reorganize and make a go of it. 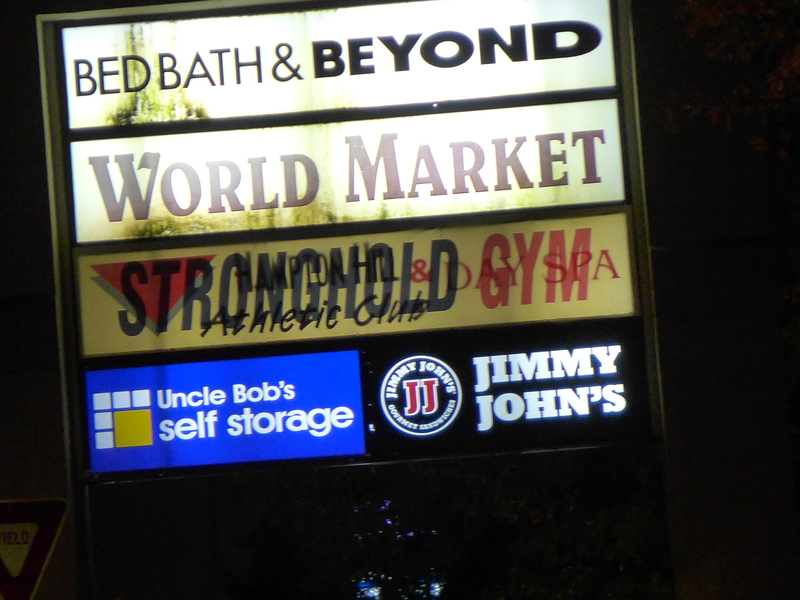 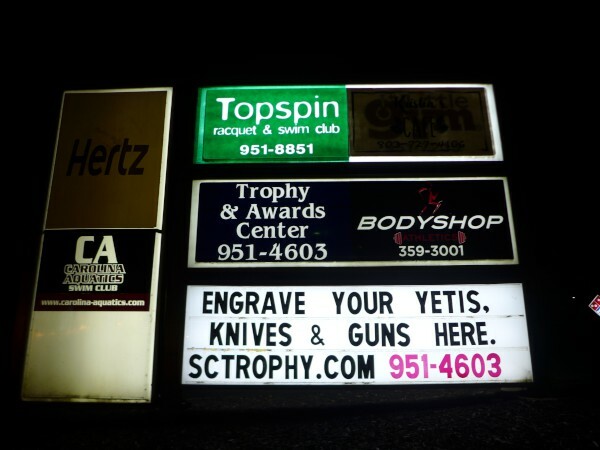 Looking at things after writing the above, I think I may be wrong about this being part of Shoppes At Woodhill. 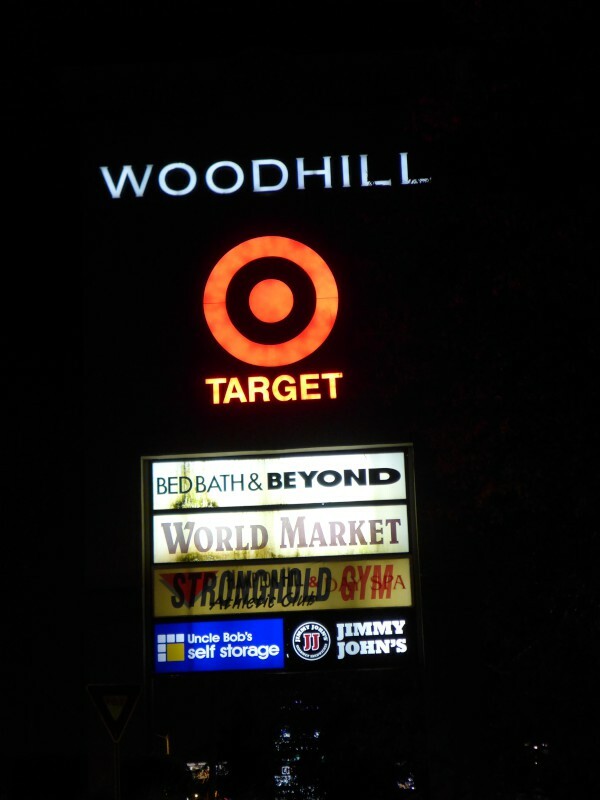 It appears that Shoppes At Woodhill is the stores along Garners Ferry and Pellham Drive. The back side with Target, World Market etc appears to have separate signage. 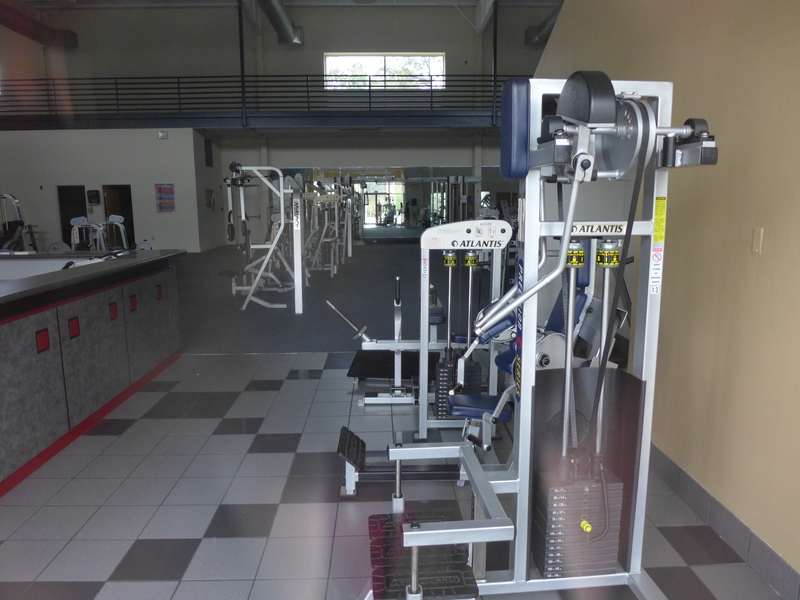 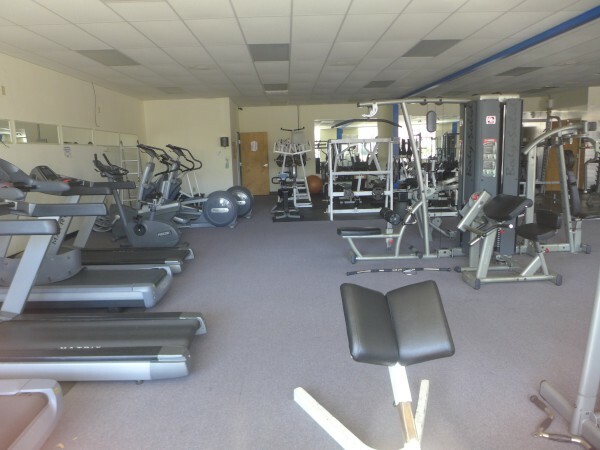 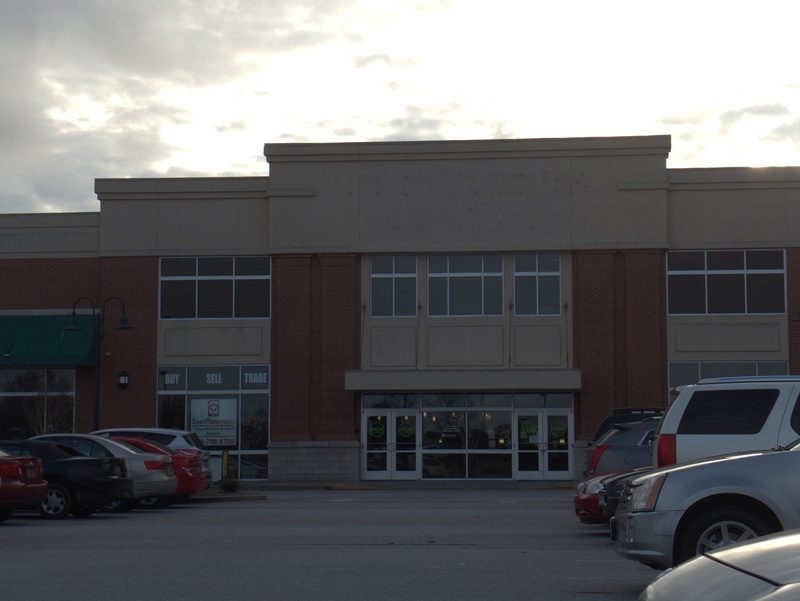 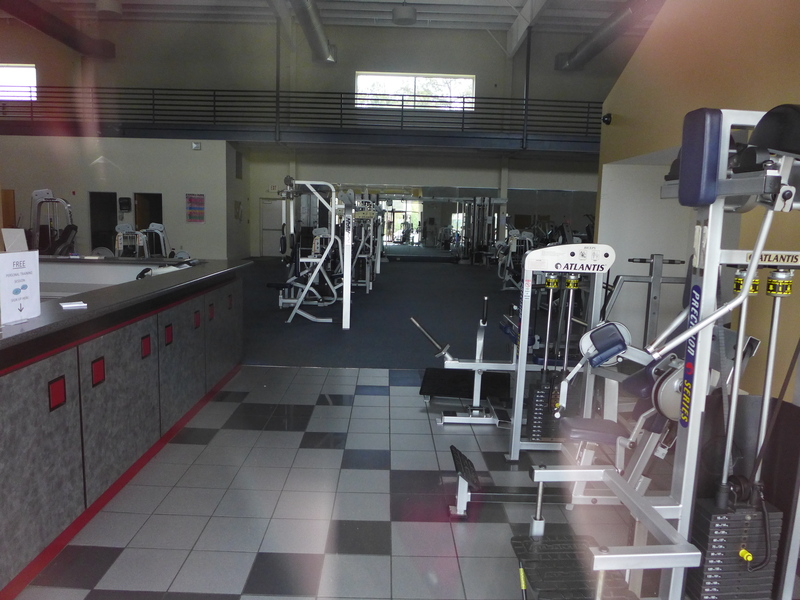 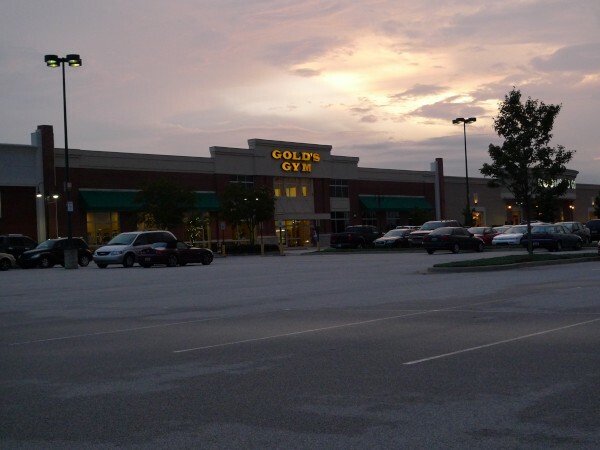 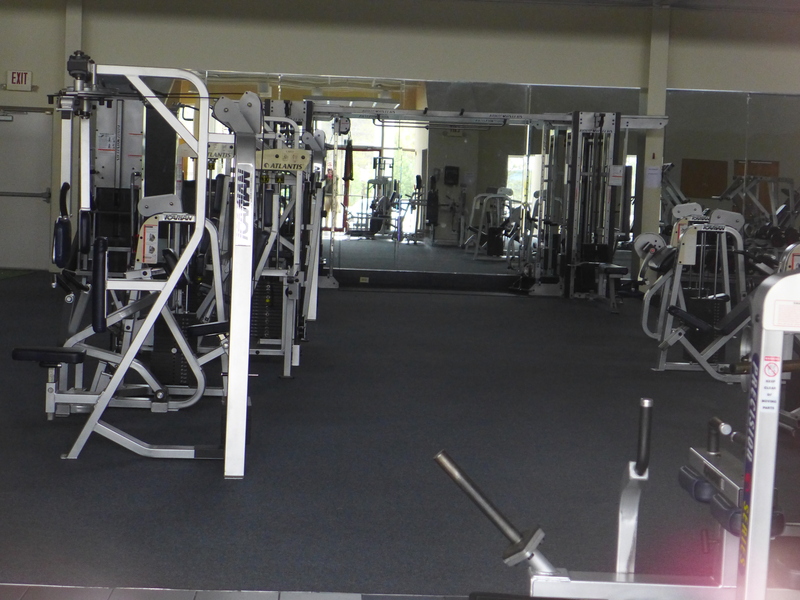 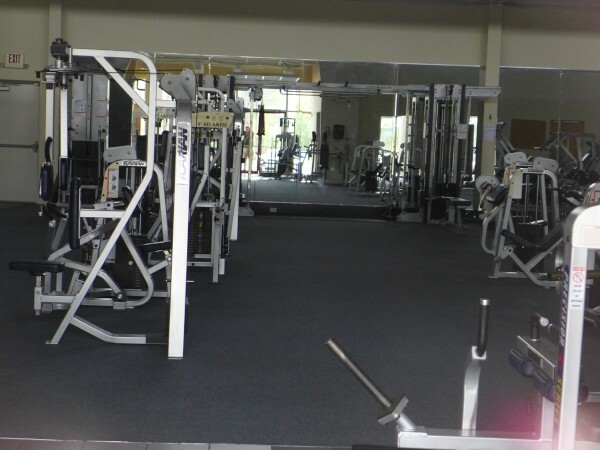 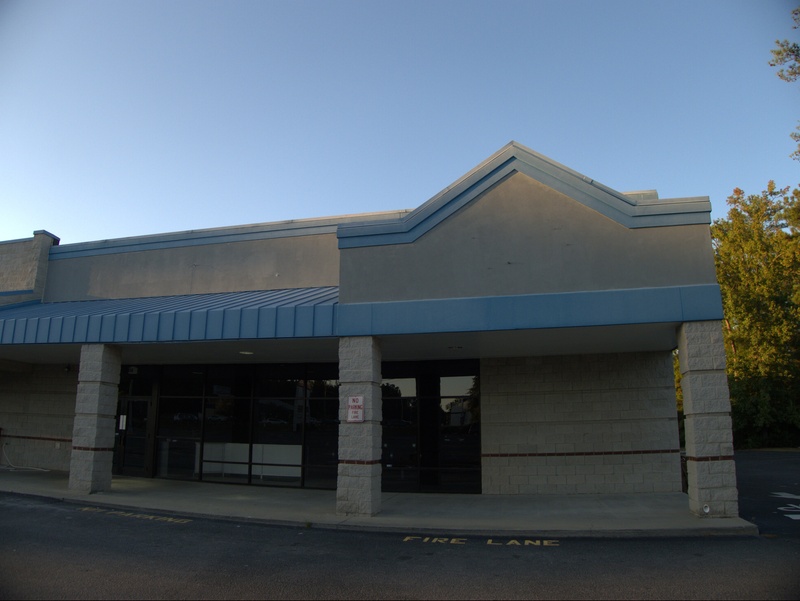 Gold's Gym moved into the old Ashley Furniture Homestore location in 2010. 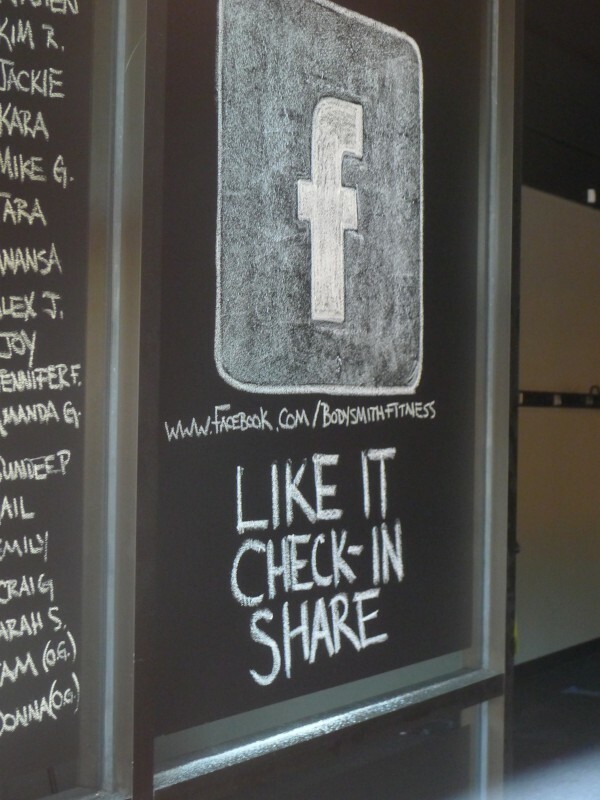 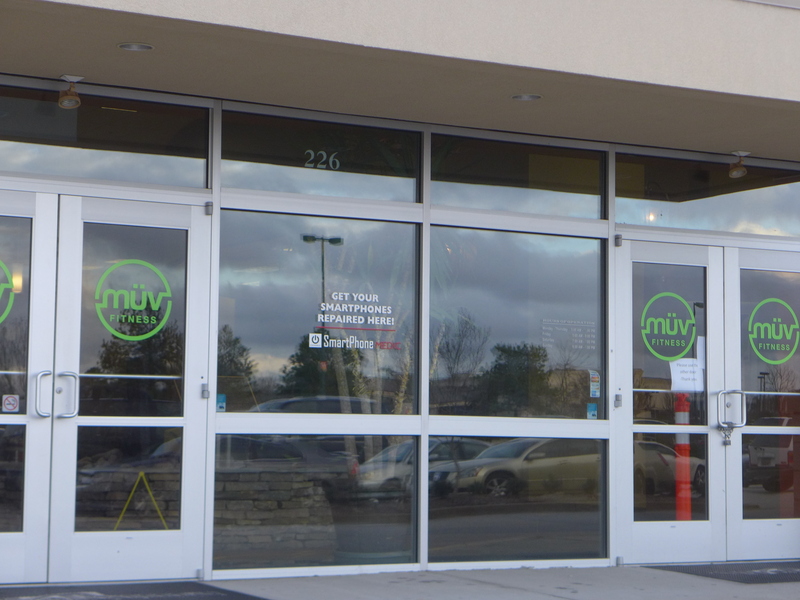 Five Gold's Gym locations in Columbia, South Carolina, have rebranded as MÜV Fitness, Spokane, Washington. 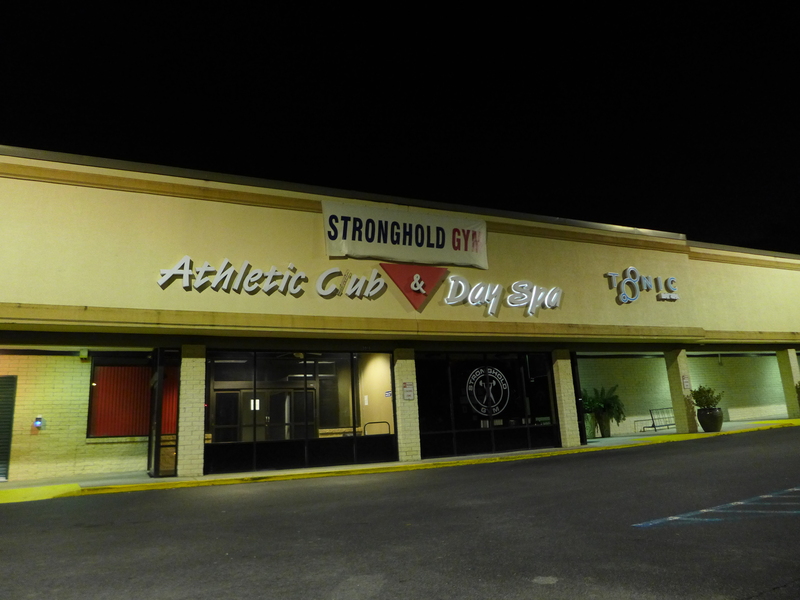 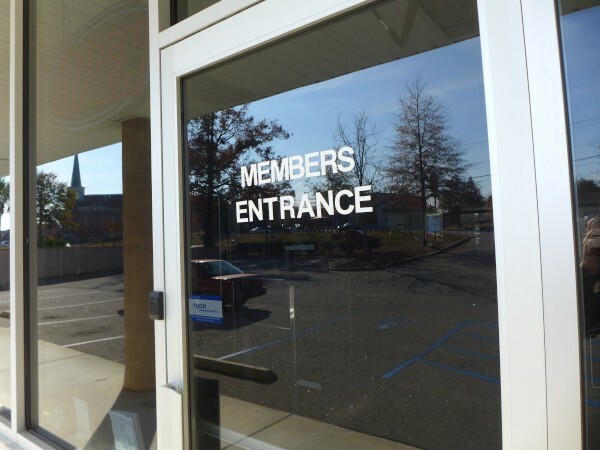 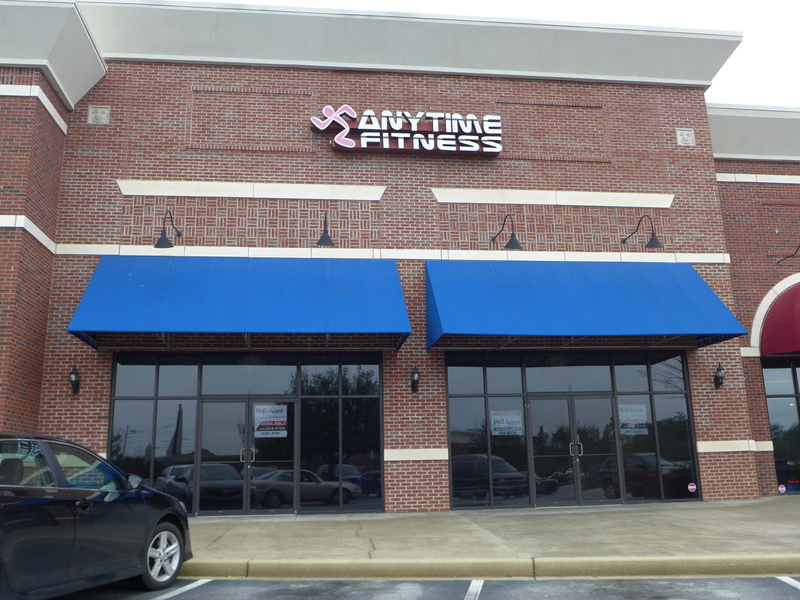 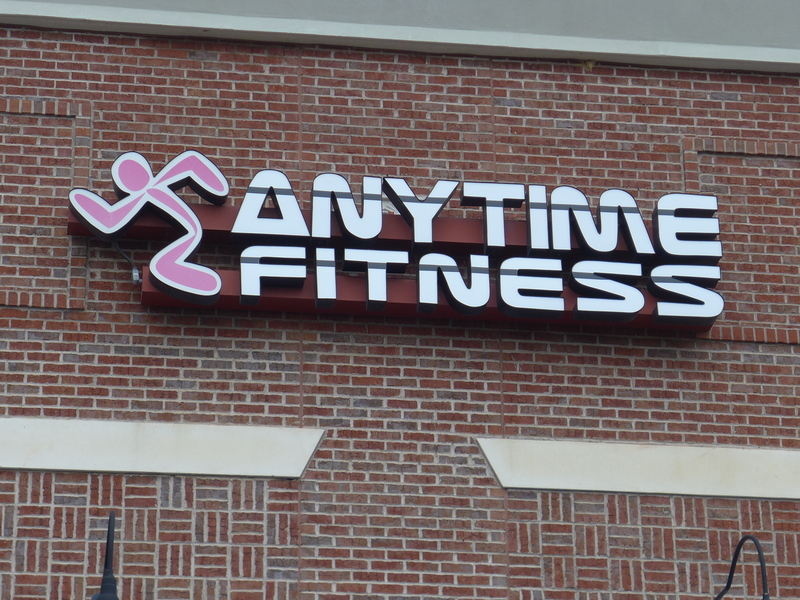 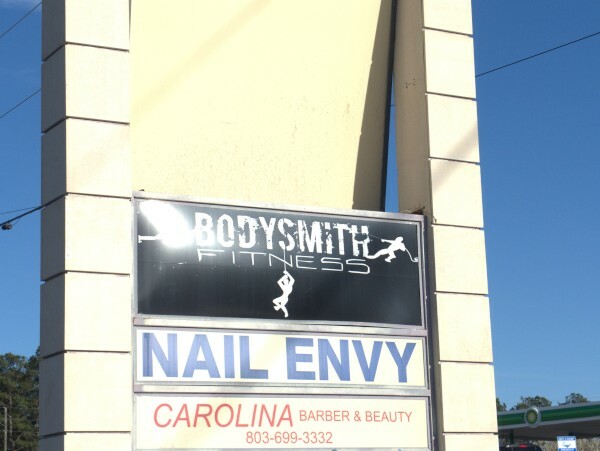 The rebrand of the five clubs, which were franchised Gold's Gym locations owned by St. Andrew Fitness Corp., Columbia, went into effect Dec. 1. St. Andrews Fitness Corp. President John Burriss told Club Industry that his decision to rebrand was driven by a desire for expansion. 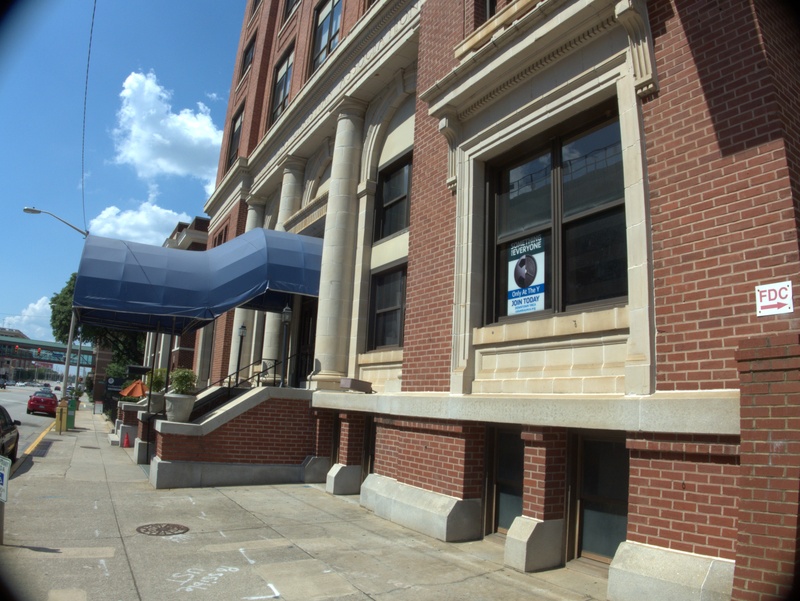 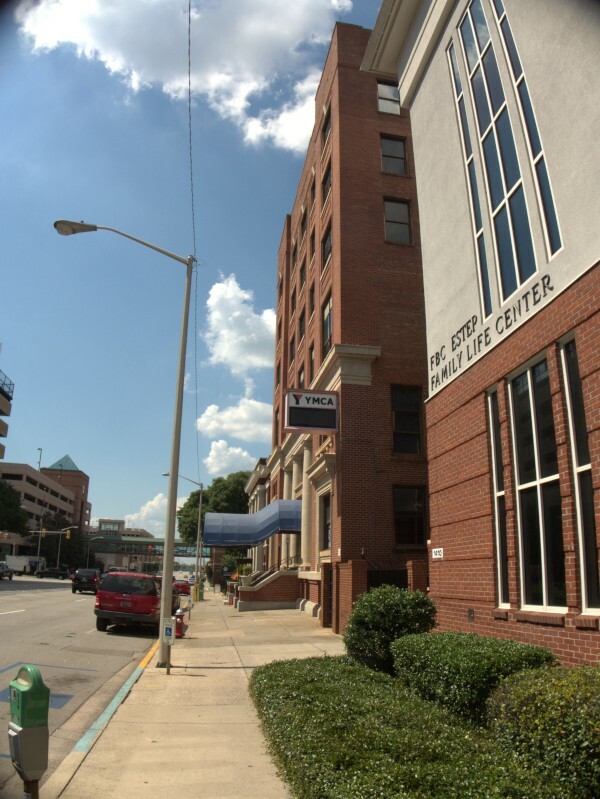 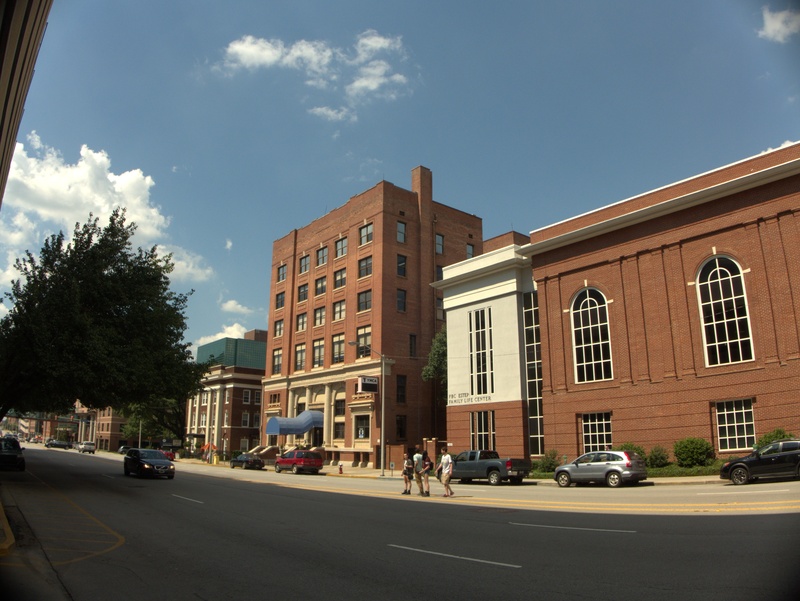 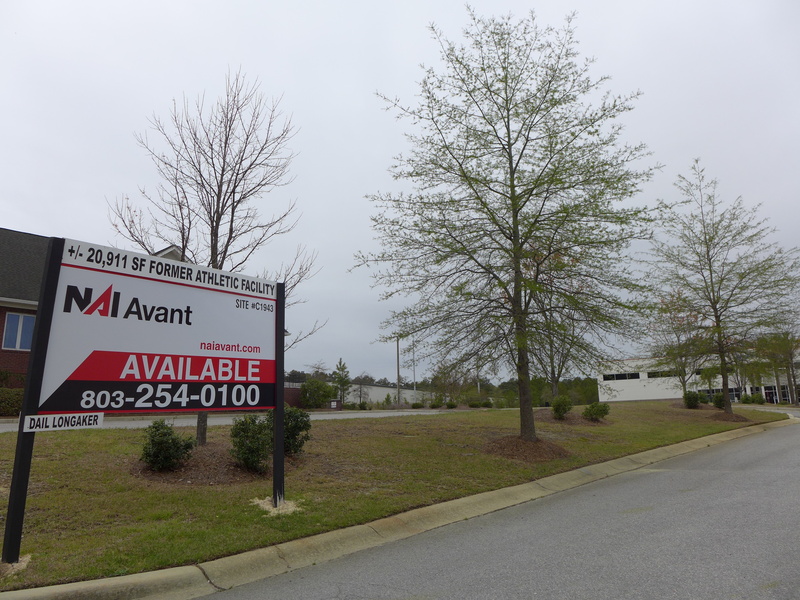 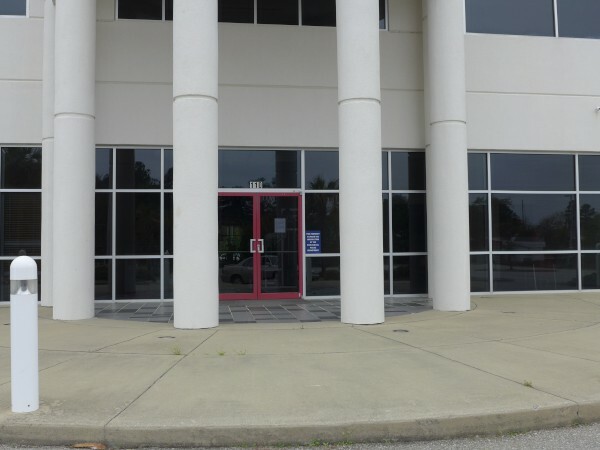 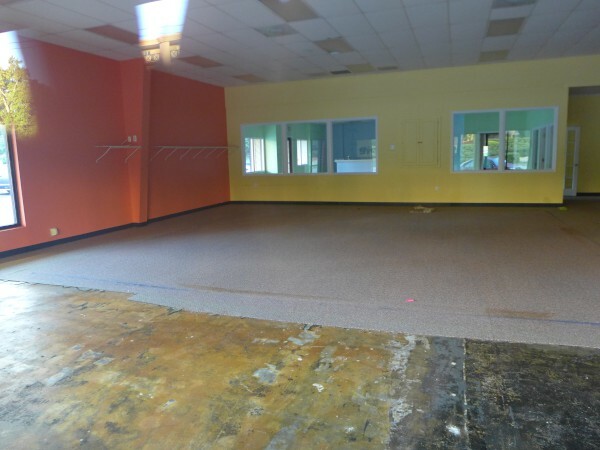 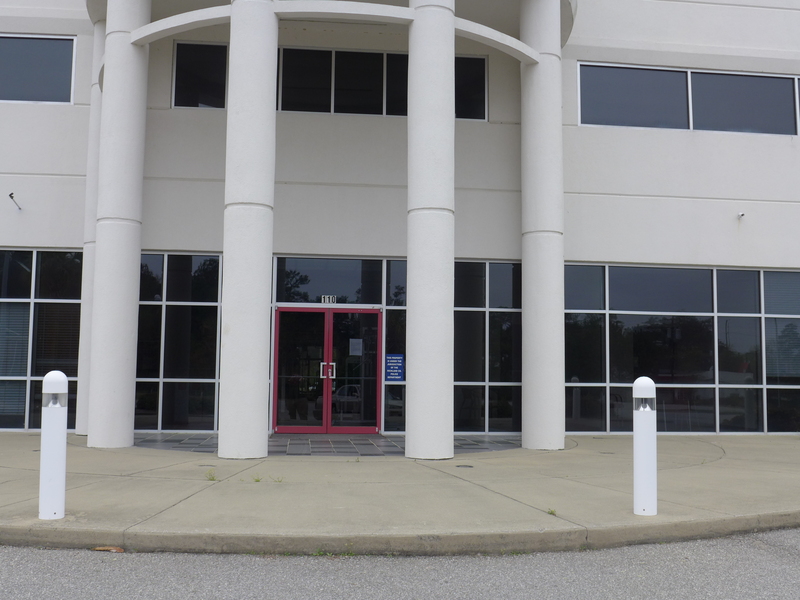 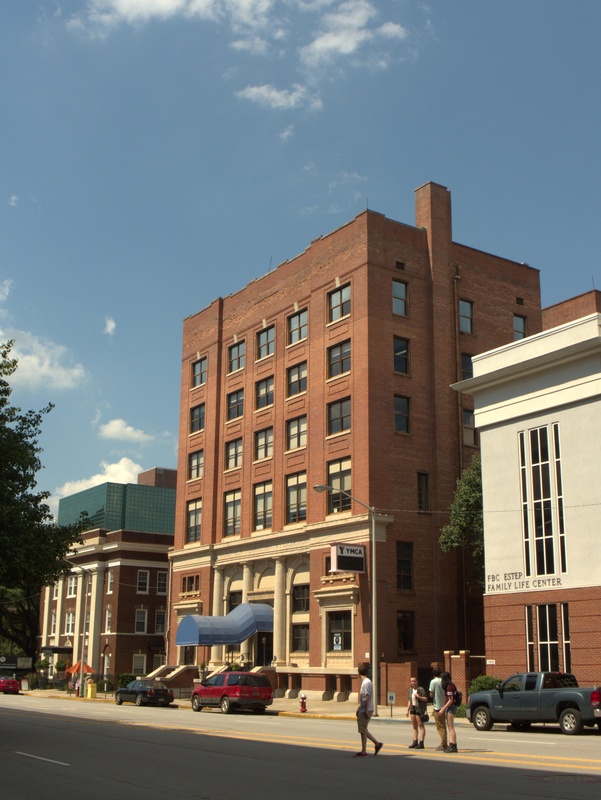 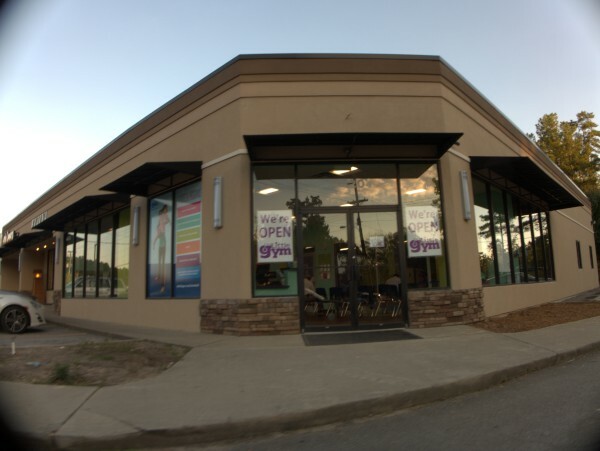 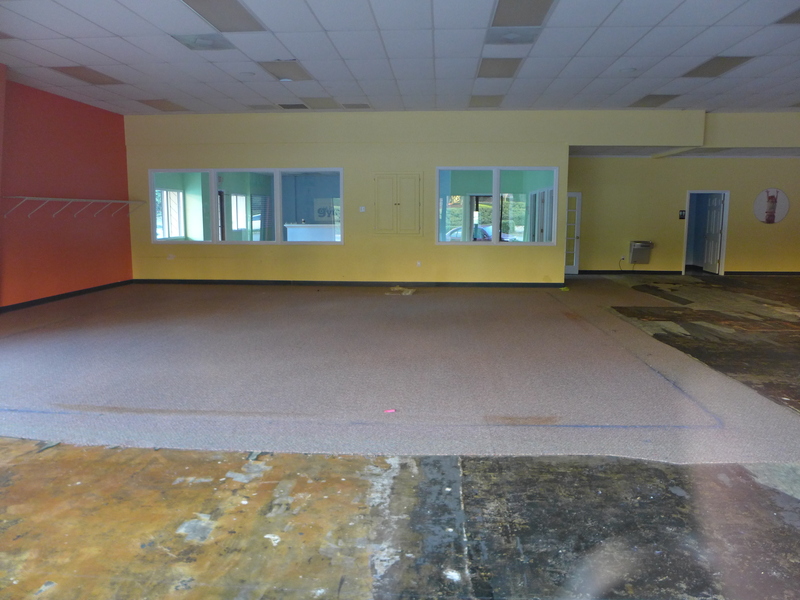 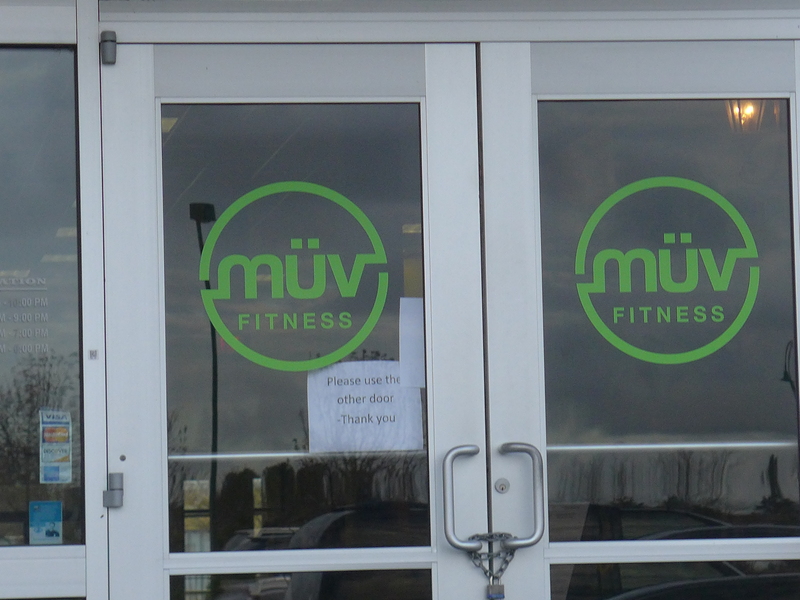 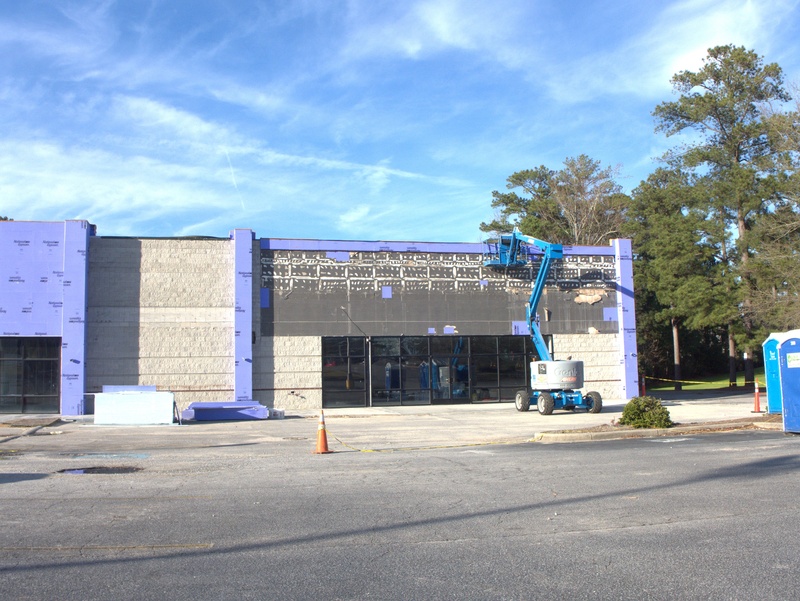 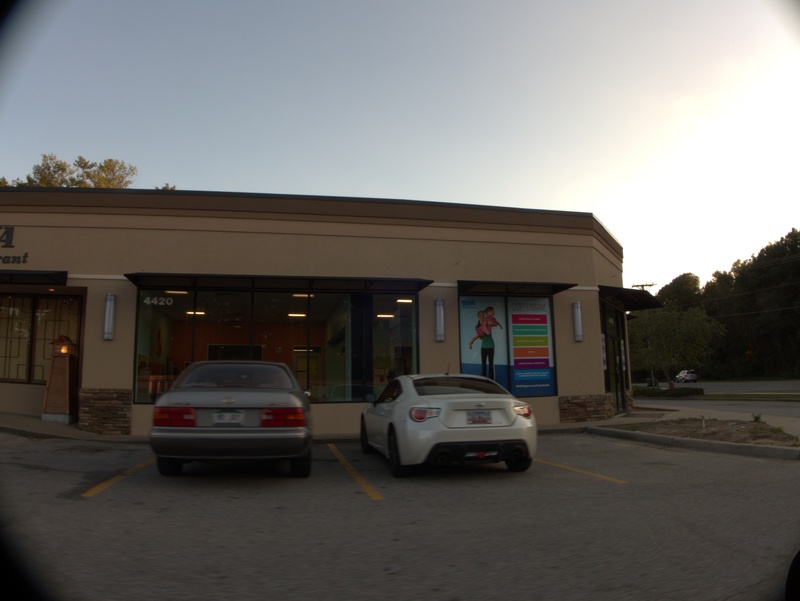 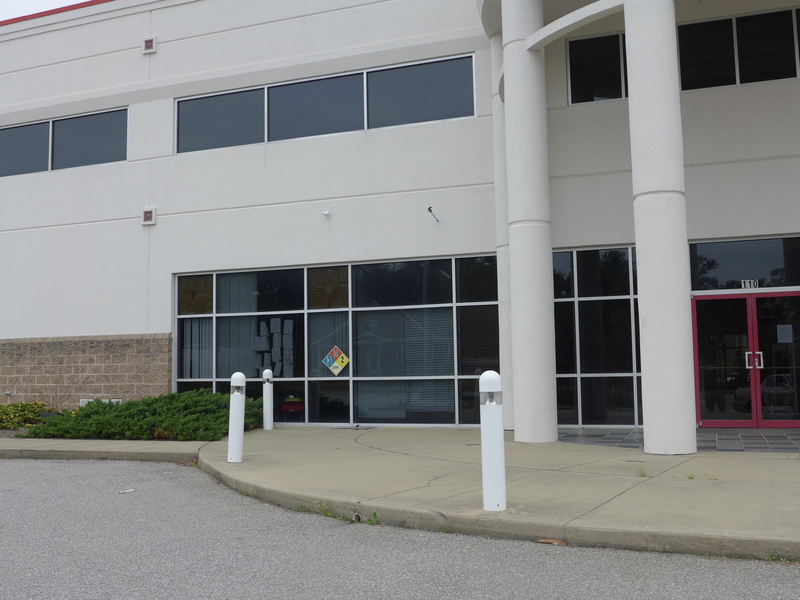 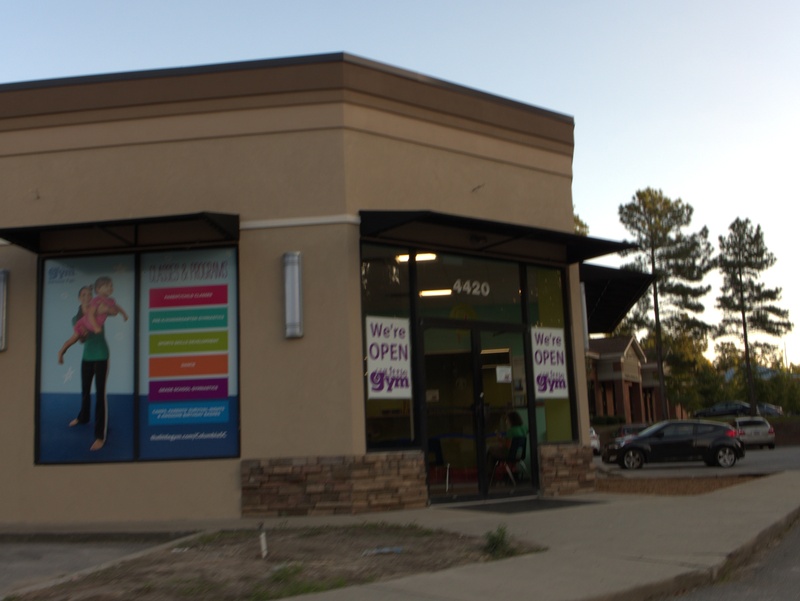 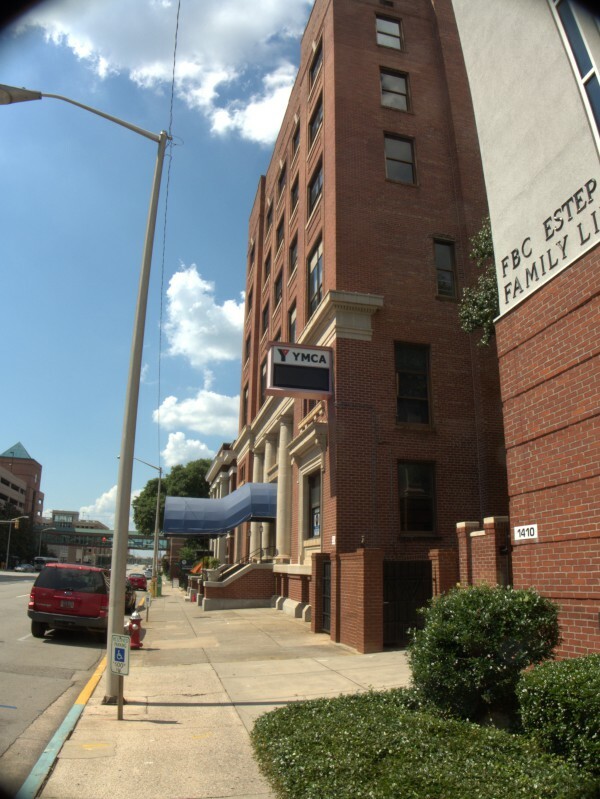 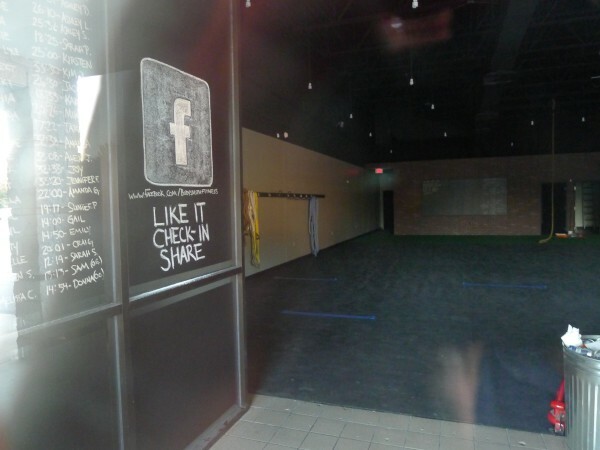 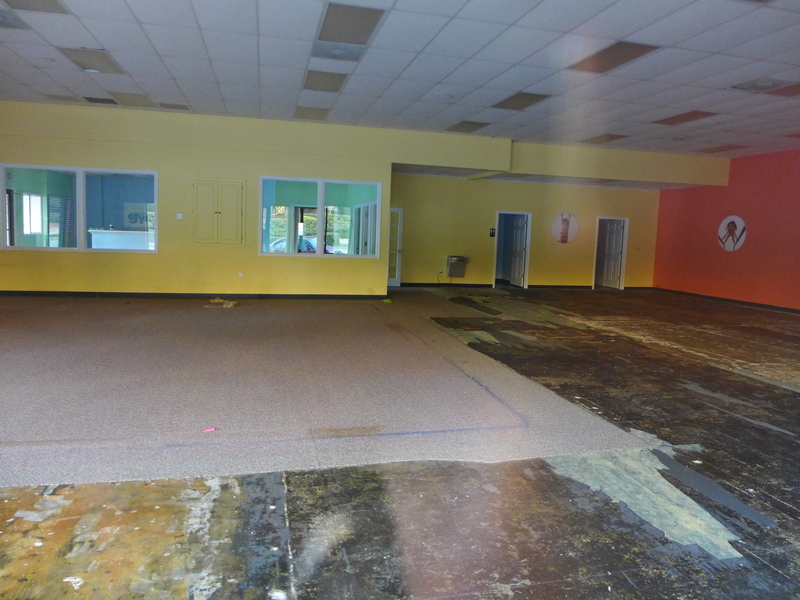 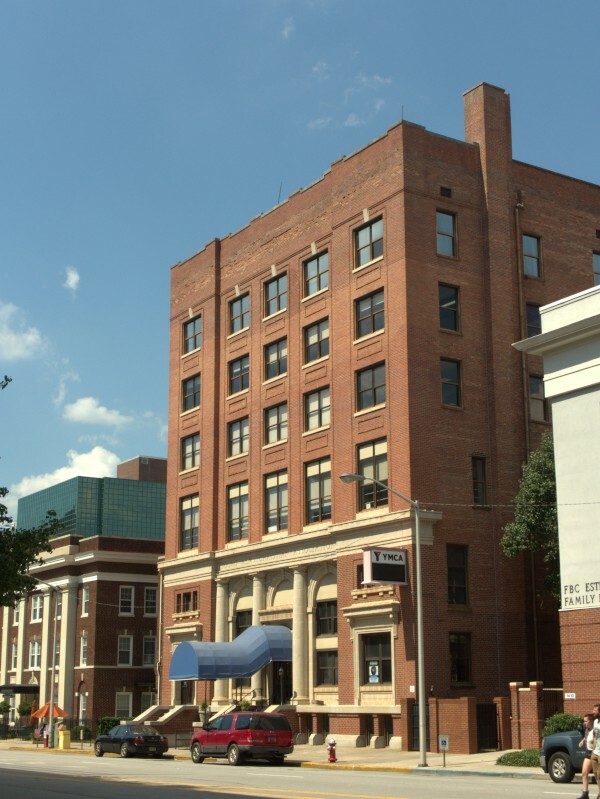 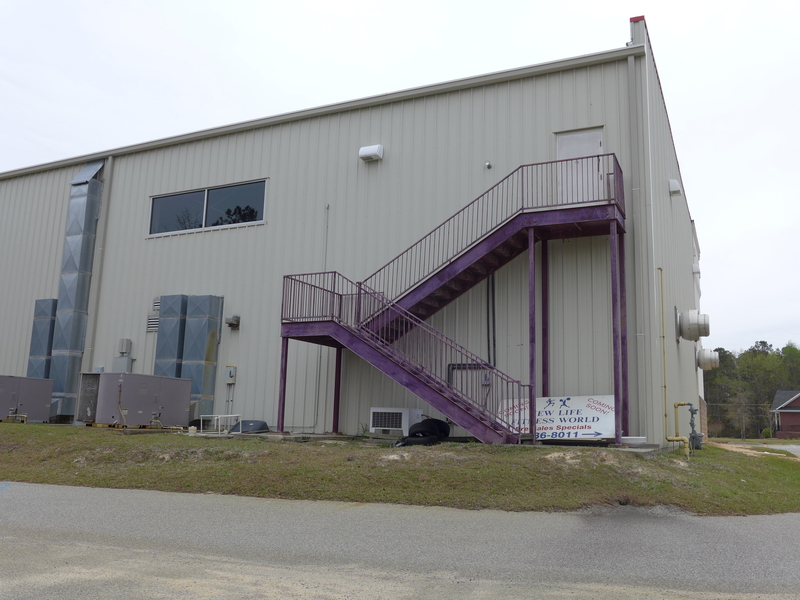 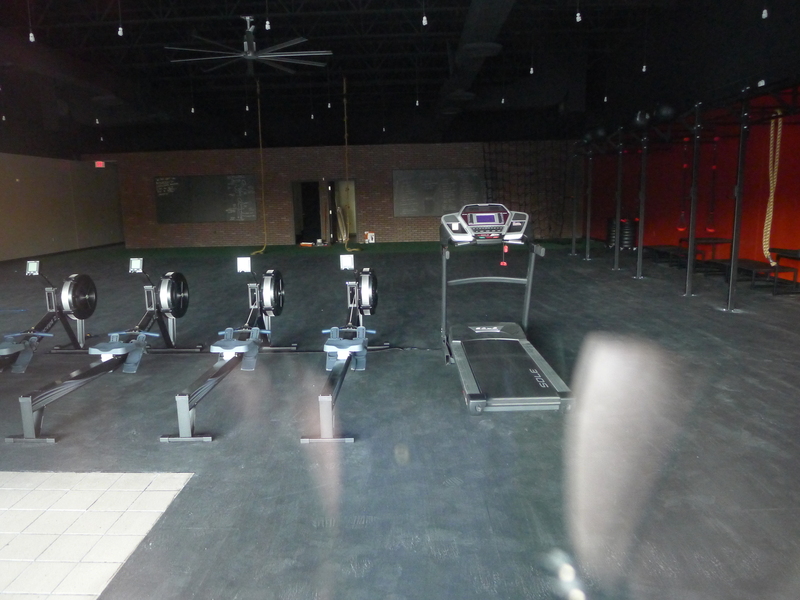 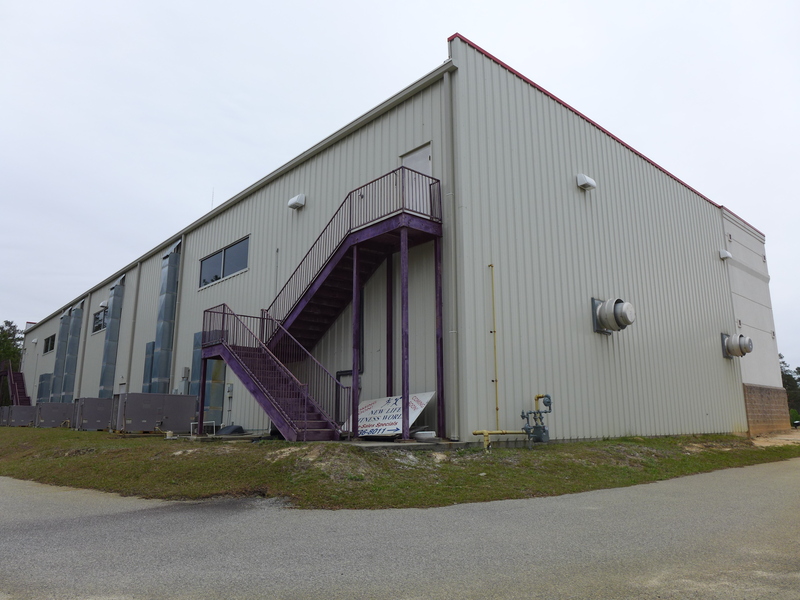 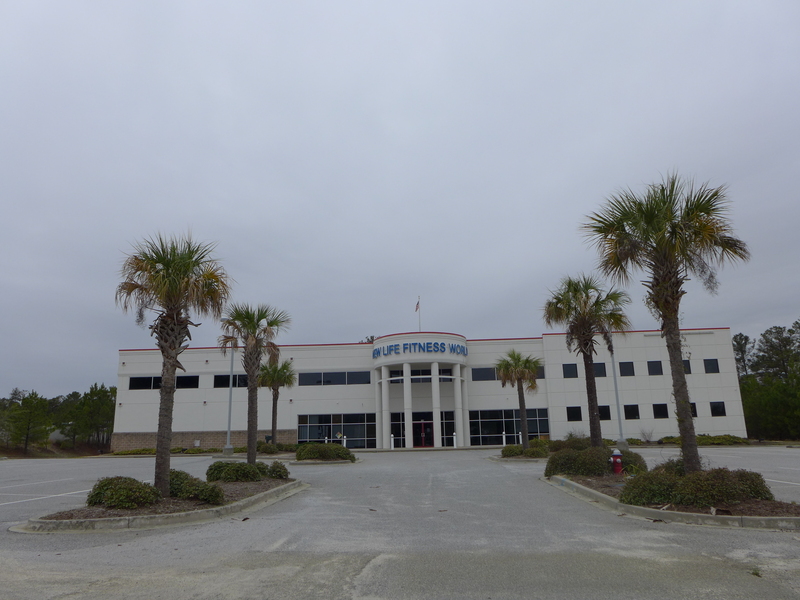 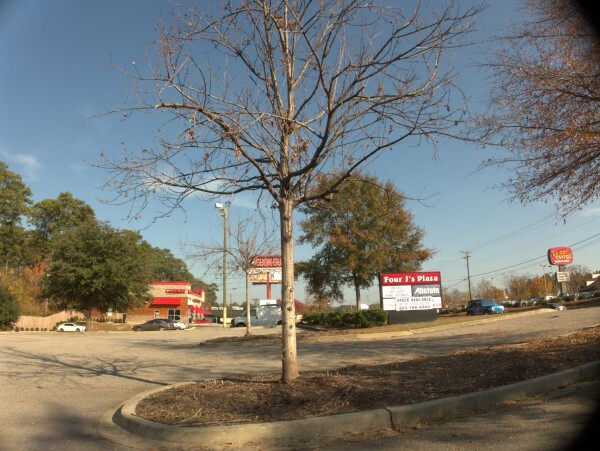 The company plans to open a sixth MÜV Fitness location in Columbia in April 2016. 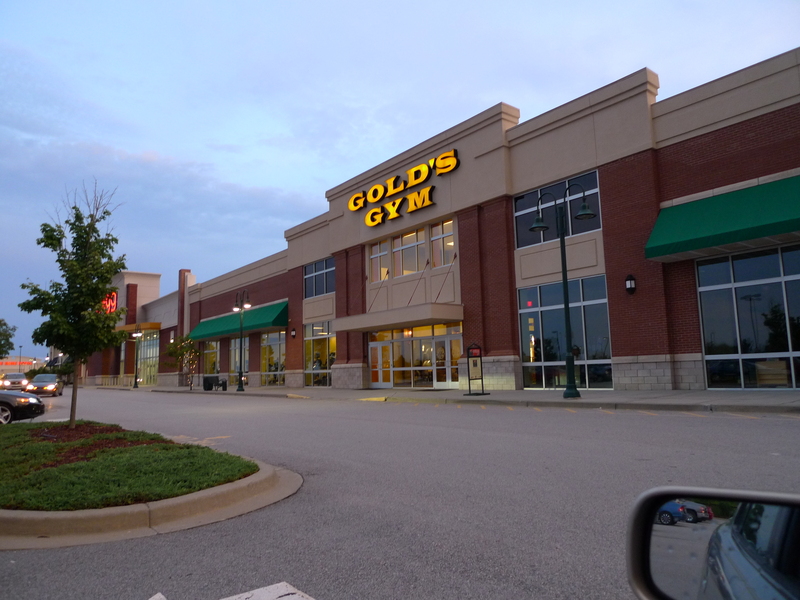 "We had a great relationship with Gold's Gym," Burriss said. "I love the brand, love the people in it and have lifelong friends in the franchise community." I don't know why Gold's didn't want to expand, but they have apparently been having their own problems at the corporate level: Gold's Gym President and EVP Leave, New CEO Appointed. 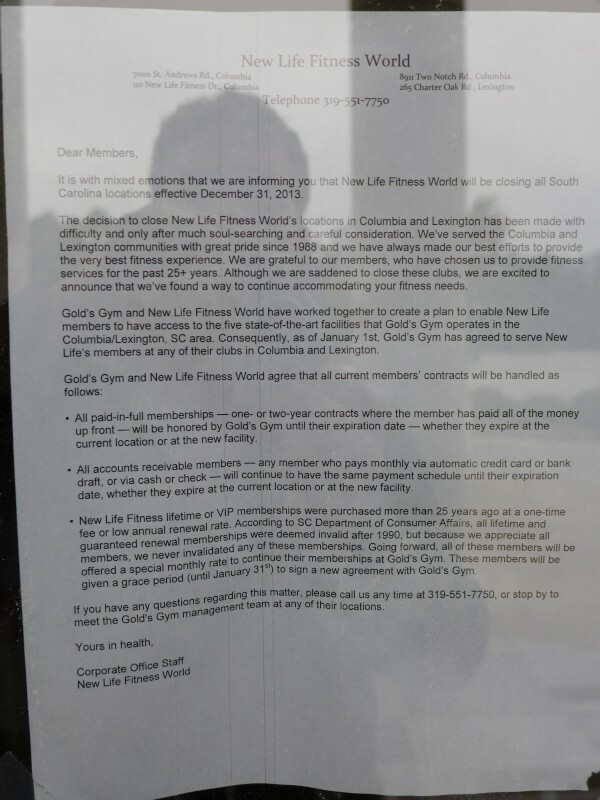 I believe this is the final New Life Fitness World closing, after this, this, and this. 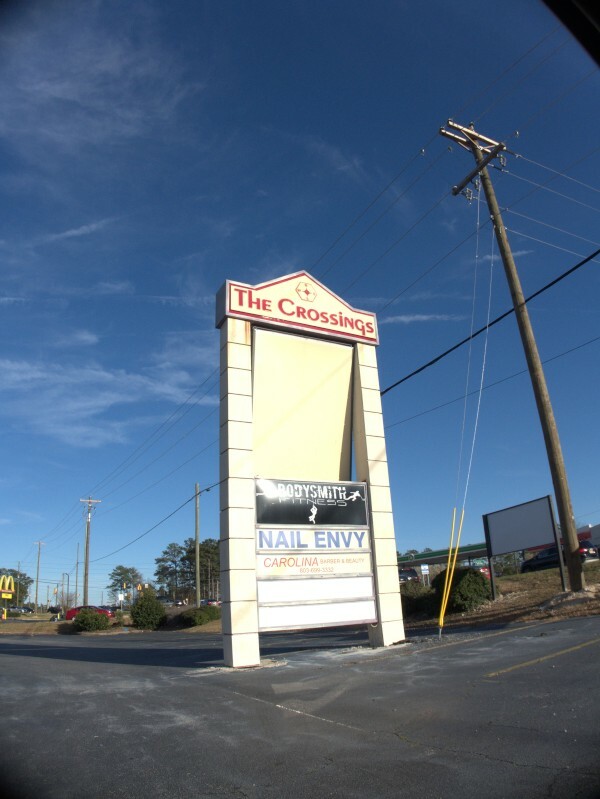 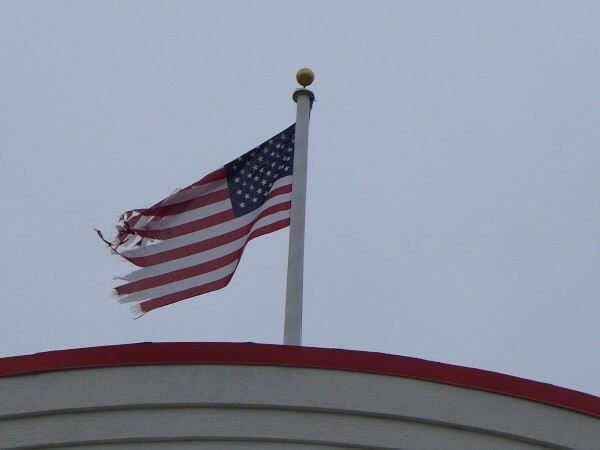 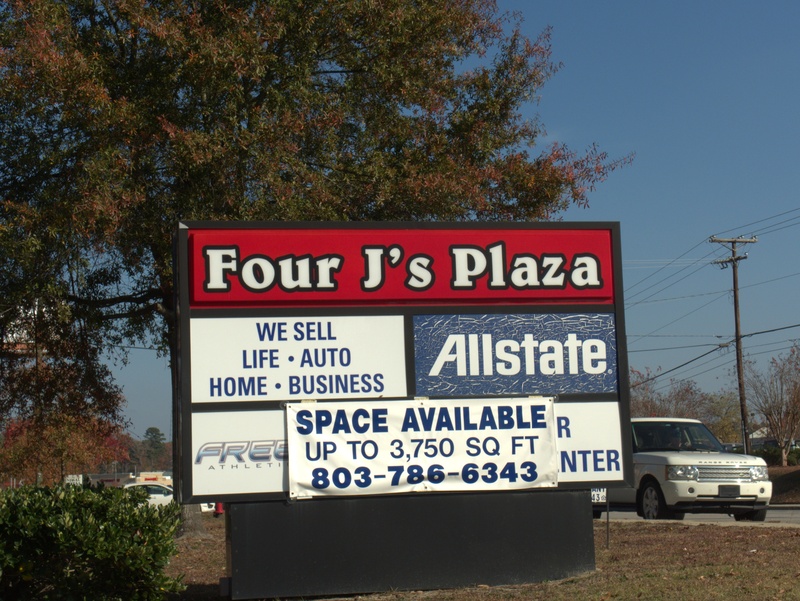 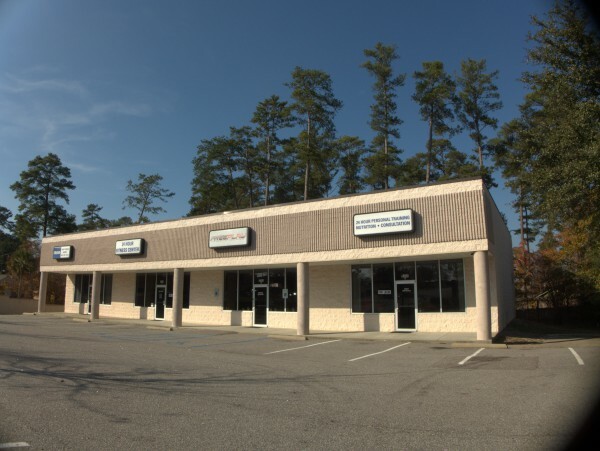 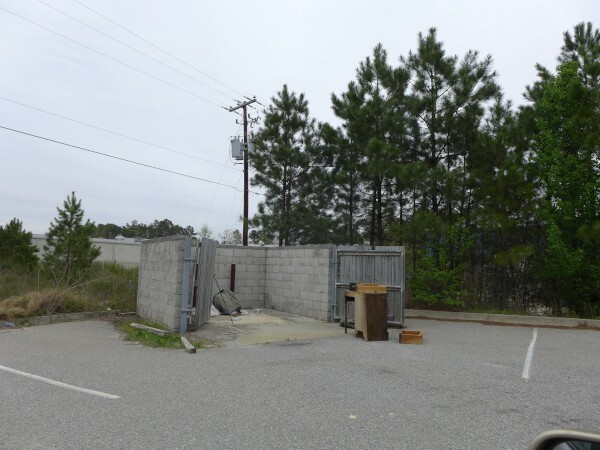 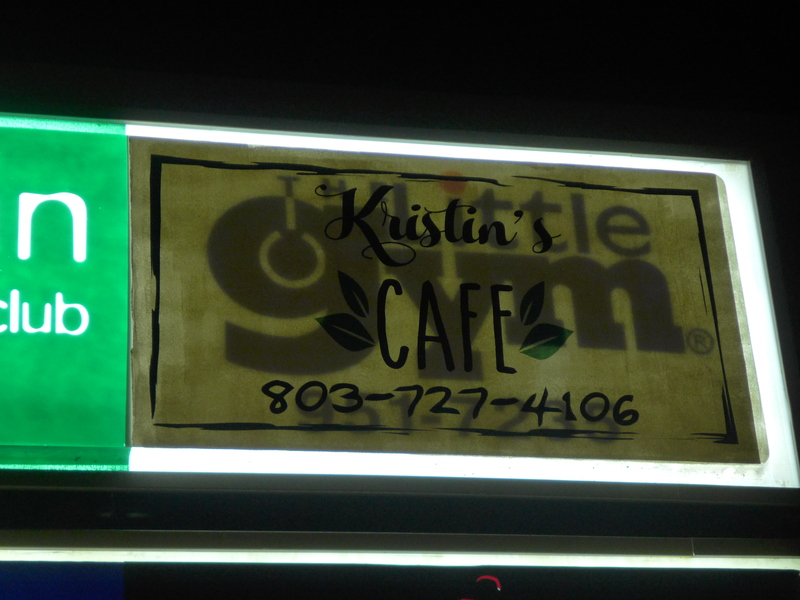 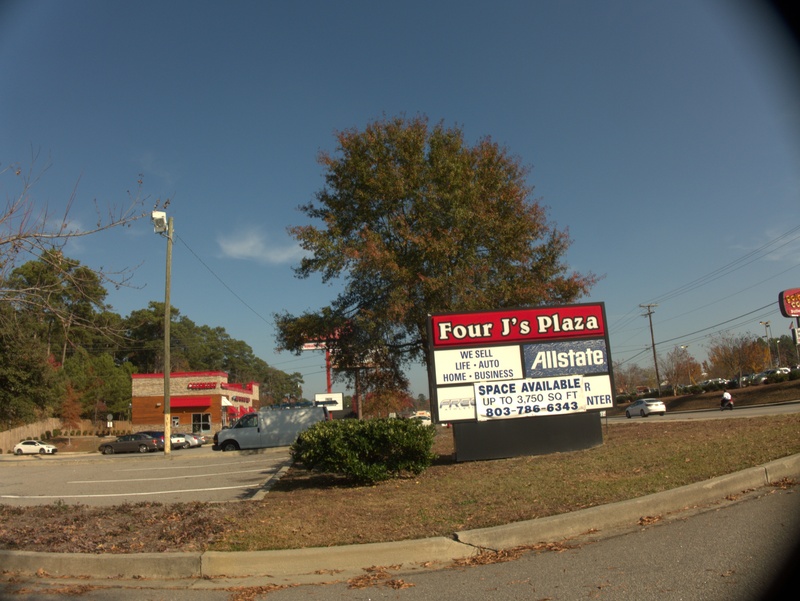 As the Two Notch and Irmo locations favored each other, so this location, off of Hardscrabble near Clemson, favors the Lexington site, right down to the tattered flag atop semi-circular entryway. 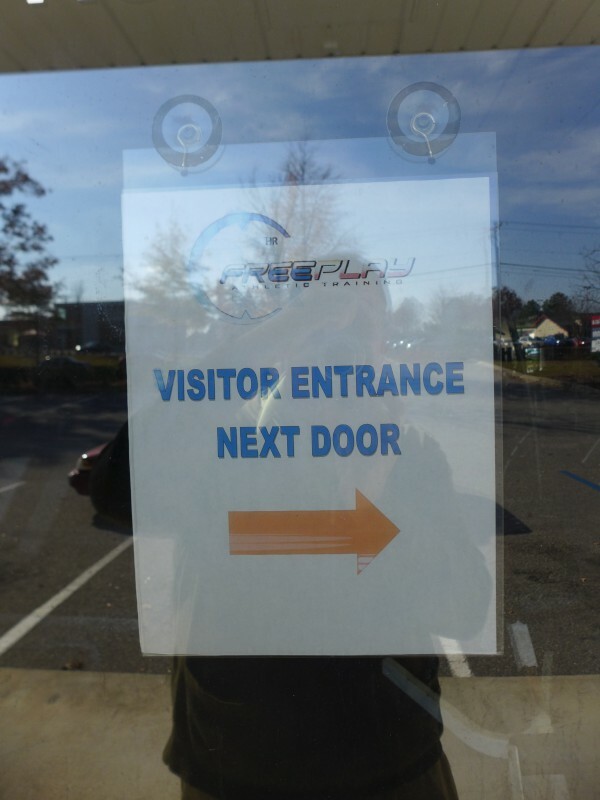 LoopNet has a nice aerial view of the property, which as of yet is still fully equipped as a gym. 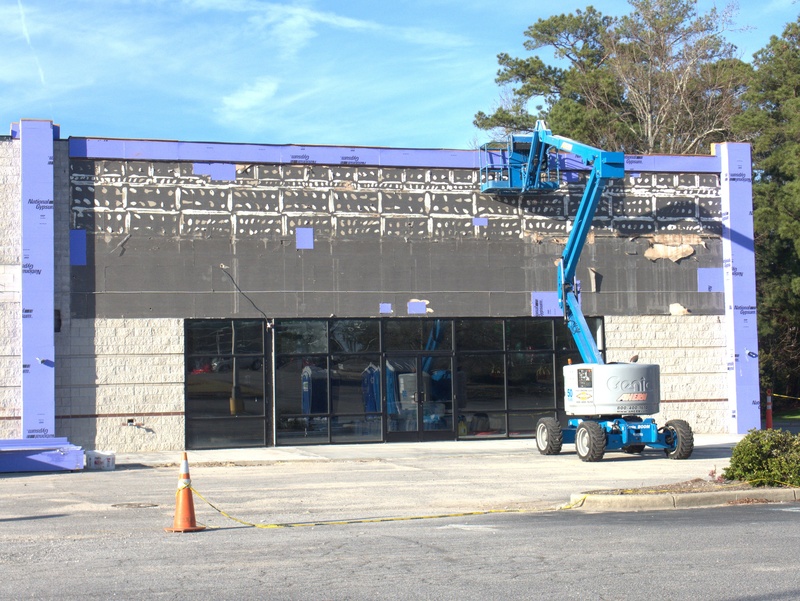 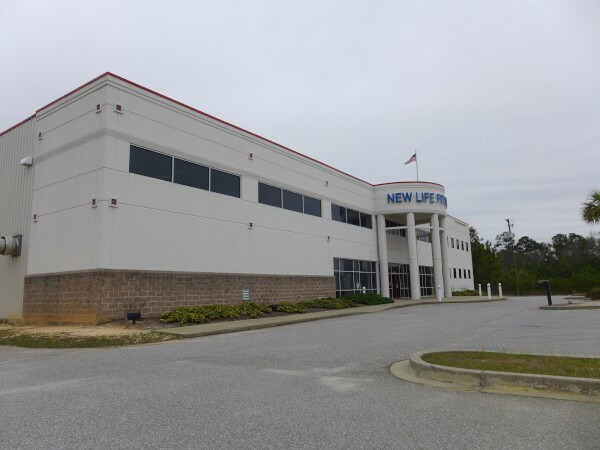 Attractive as the building is, you have to wonder how the next tenant will feel about being on New Life Fitness Drive..
Well, the post on the Irmo location seems to have gotten a bit of traction today, so why not make a clean breast of it and post the final one? 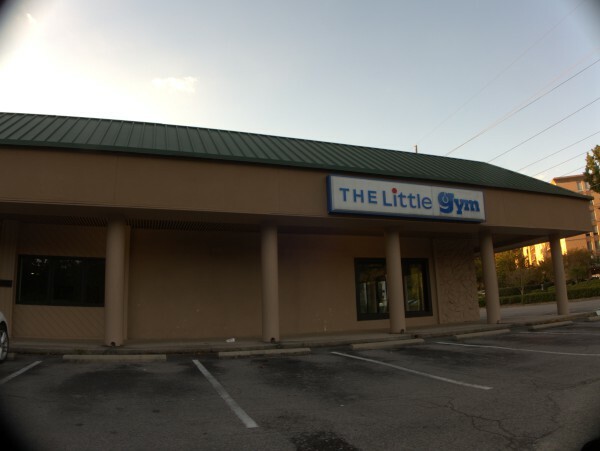 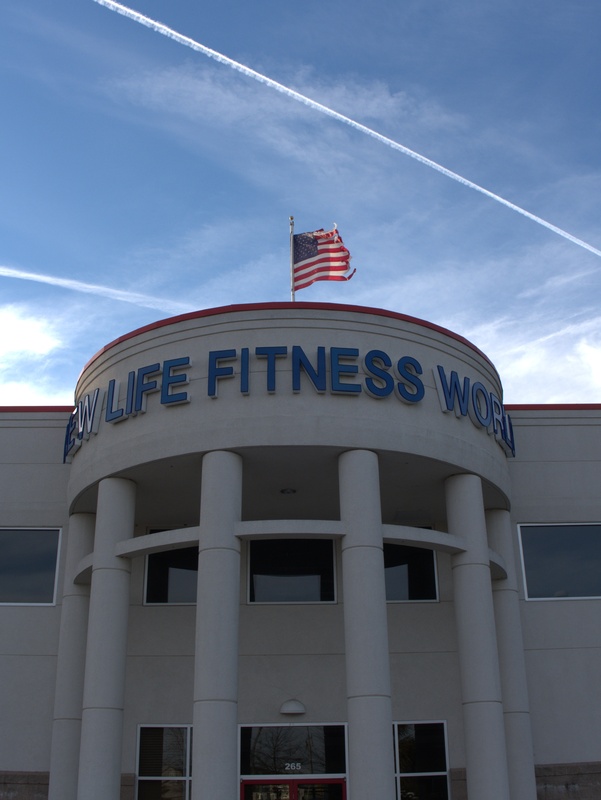 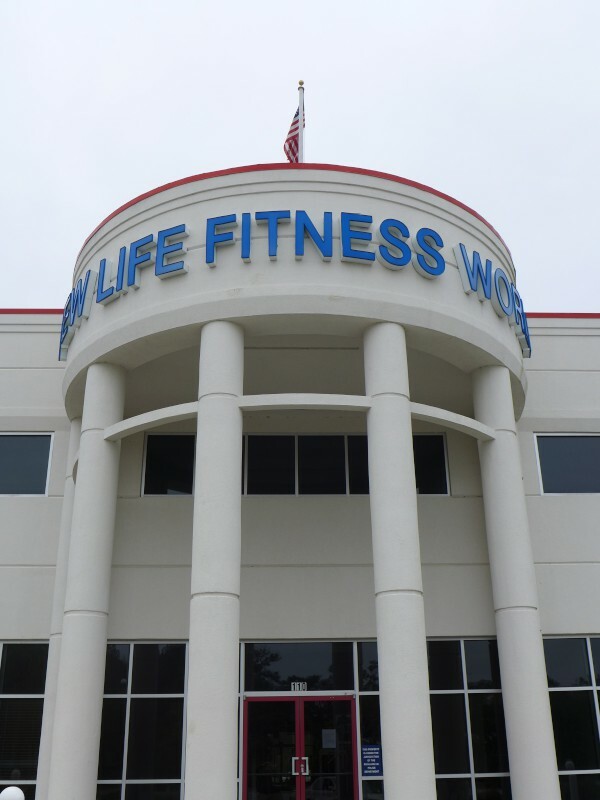 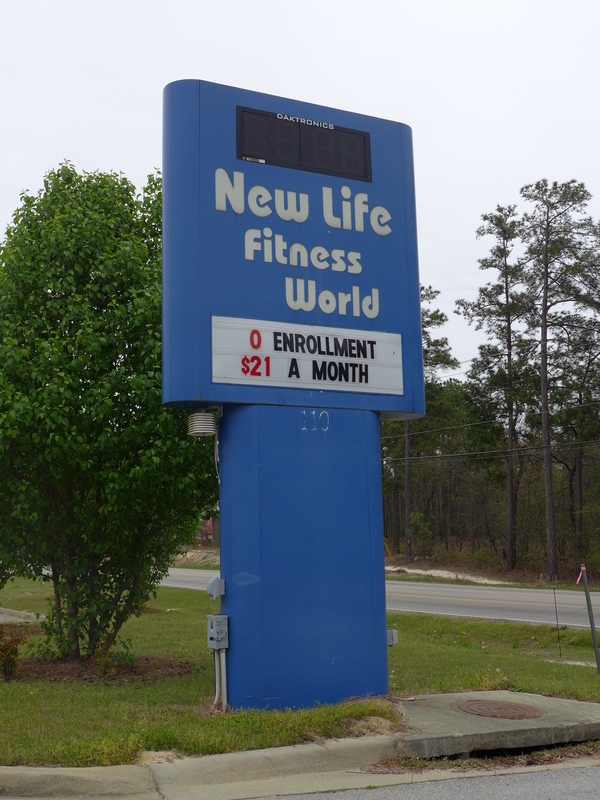 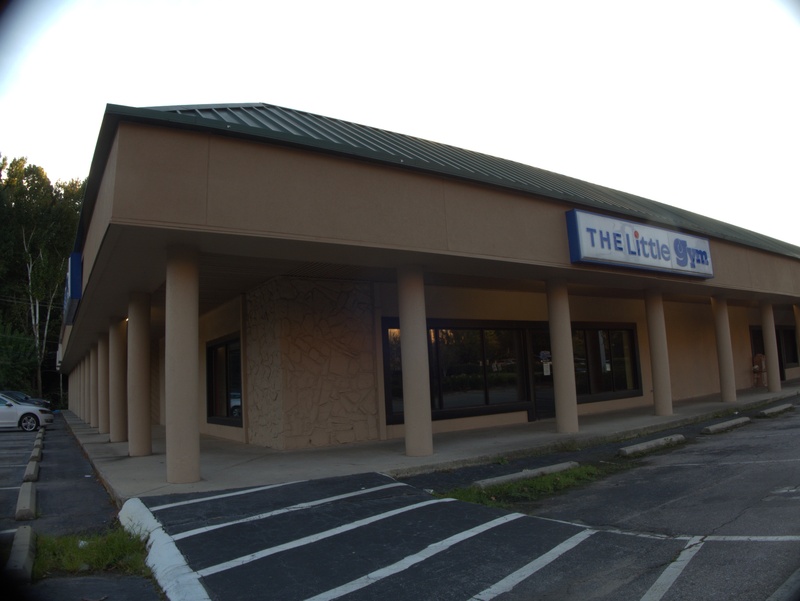 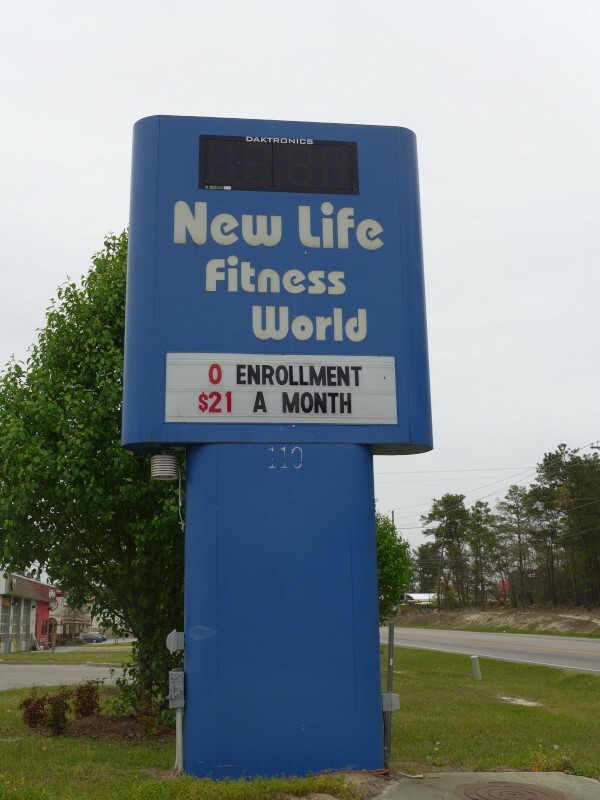 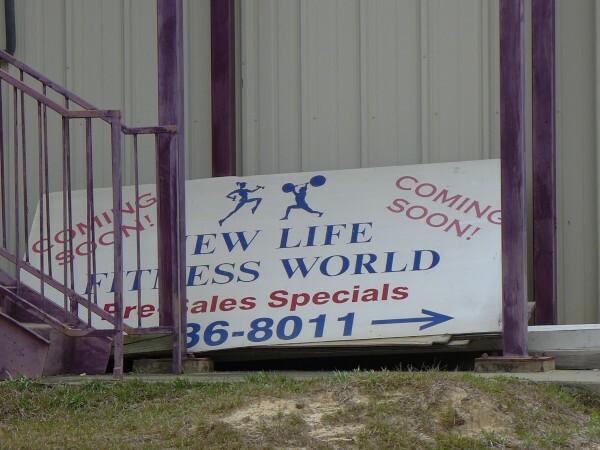 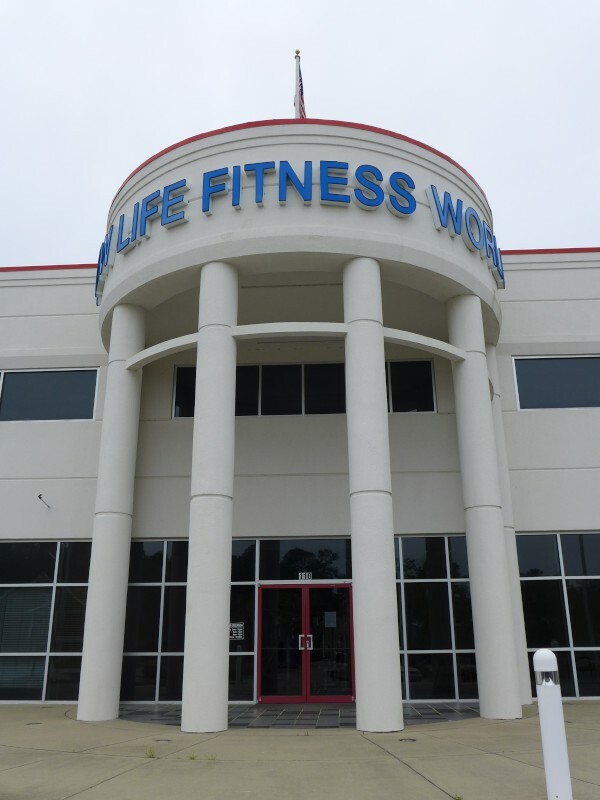 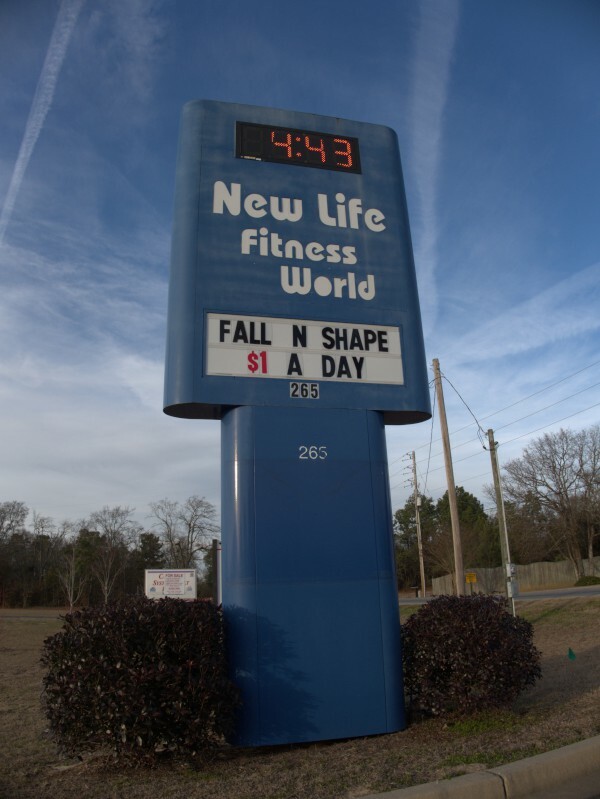 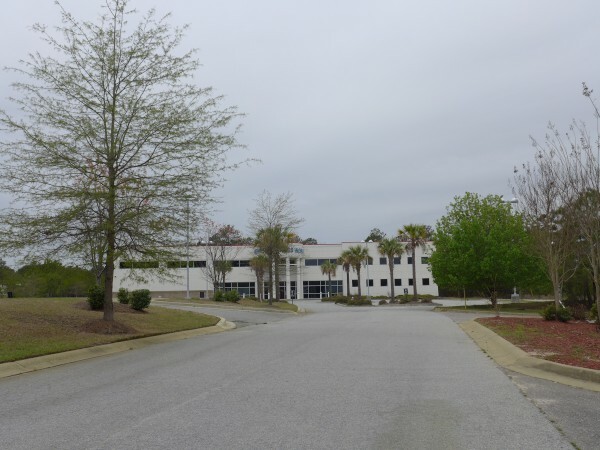 The Lexington New Life Fitness World is off of Charter Oak Road, which connects US-1 and US-378 which are more or less parallel at that point. The gym is on a little court that seems to have some sort of failed building showcase on it, which I may post another day, though it is well behind the set of empty foundations. 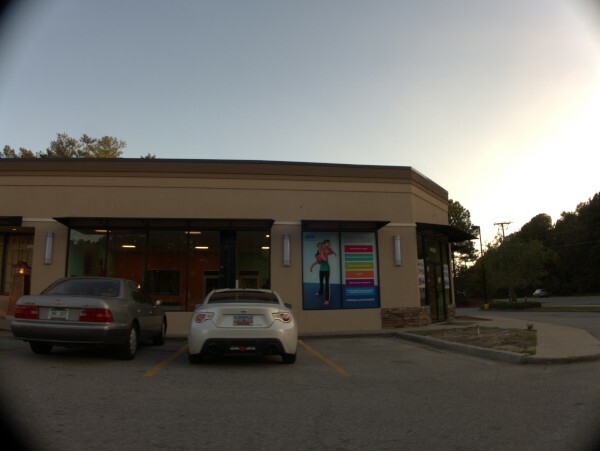 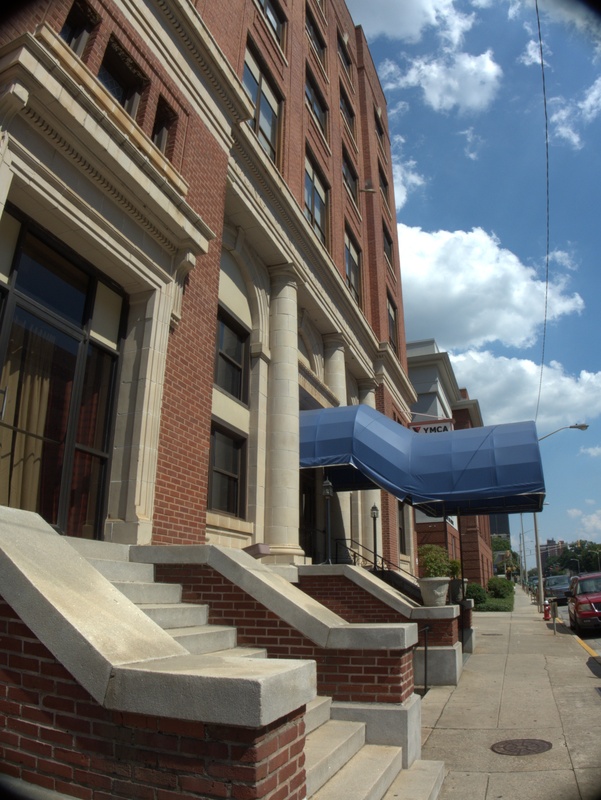 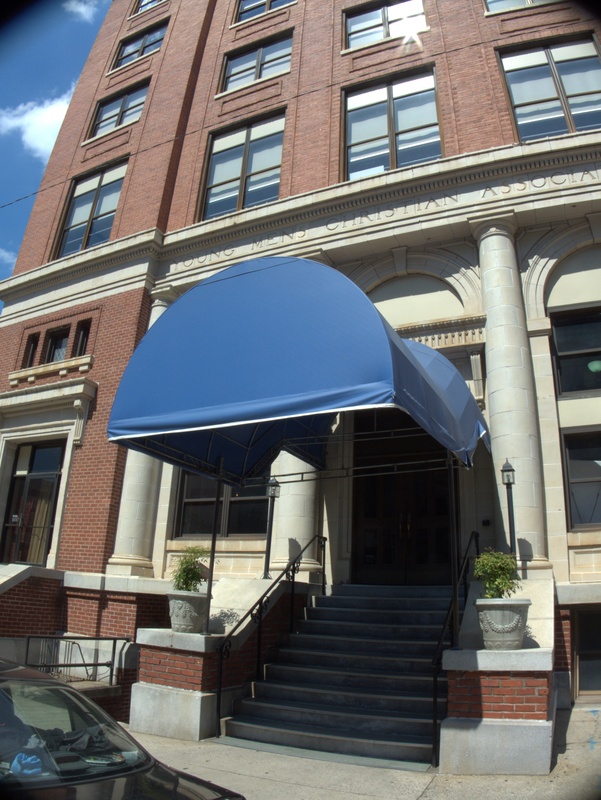 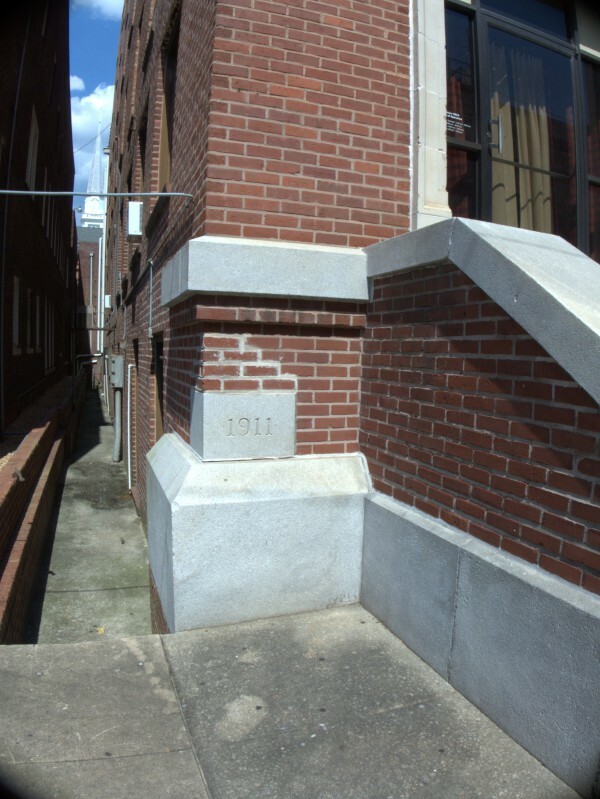 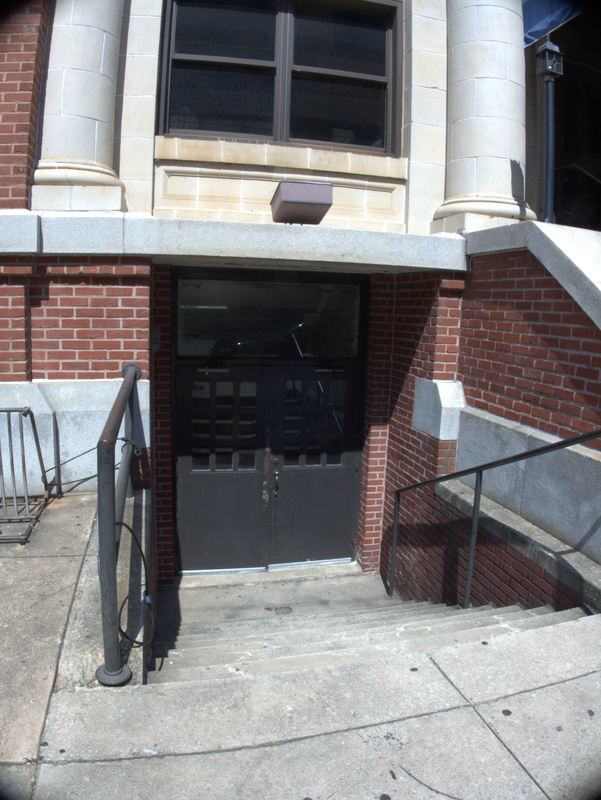 This building is done in a completely different style than the other two, and seems to have had at least one other business co-located inside. 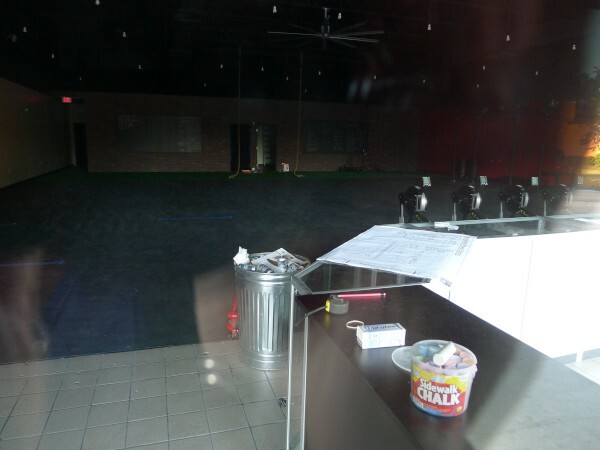 There is something rather sad about the forlorn swim-noodles.